Easter Egg Hunt Sat. March 30! (ECC) — Attention. Attention. Mark your calendar. Saturday, March 30th 2013 at 10 a.m. is the date of the Elk Creek Crossing Neighborhood Easter Egg Hunt. Come prepared with a basket for fun galore. Hooray. 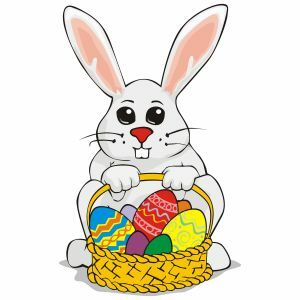 Of course, as always, we seek ECC volunteers to help fill a whopping 500 eggs with candy. Please contact Susie Stern if you’d like to help. “It’s greatly appreciated to have mom’s and dad’s and their kids help us prepare, because without helping hands, it’s just my daughter and I, ha ha.” emphasizes Susie. Update: Thus far we have 2 children and 1 adult volunteers. We could use more!